FIFA U-20 World Cup 2015 runner-up with Brazil. 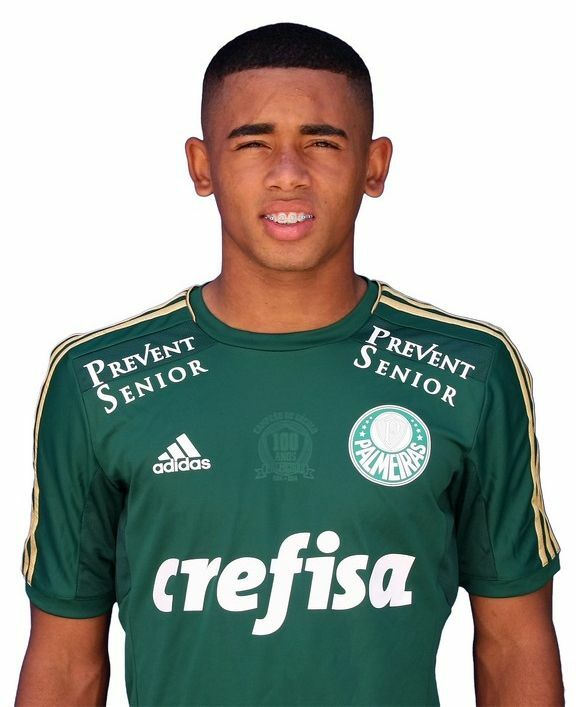 Gabriel Jesus started his adventure with football in a tiny club Anhanguera. At 15 years of age, he showcased himself at a youth “Copa Sao Paulo” tournament, where he scored 29 goals and attracted attention from the biggest Brasilian clubs. In 2013, he moved to Palmeiras. He became a real goalscoring machine in the youth setup of “Verdao”. He made his debut in the senior team and is a real fan favorite. He played very well at the U-20 World Cup 2015, where he managed to start 6 games and help Brazil to a second place at the tournament.